﻿ Best Western San Diego Miramar Hotel, San Diego (CA) | FROM $82 - SAVE ON AGODA! "Visiting military so location was perfect." Have a question for Best Western San Diego Miramar Hotel? "Very clean and well kept facility." "Thank you for making our stay very ENJOYABLE!" For travelers who want to take in the sights and sounds of San Diego (CA), Best Western San Diego Miramar Hotel is the perfect choice. From here, guests can enjoy easy access to all that the lively city has to offer. Visitors to the hotel can take pleasure in touring the city's top attractions: Miramar Speed Circuit, Thomas Kinkade Renaissance Signature Galleries, Convoy District. 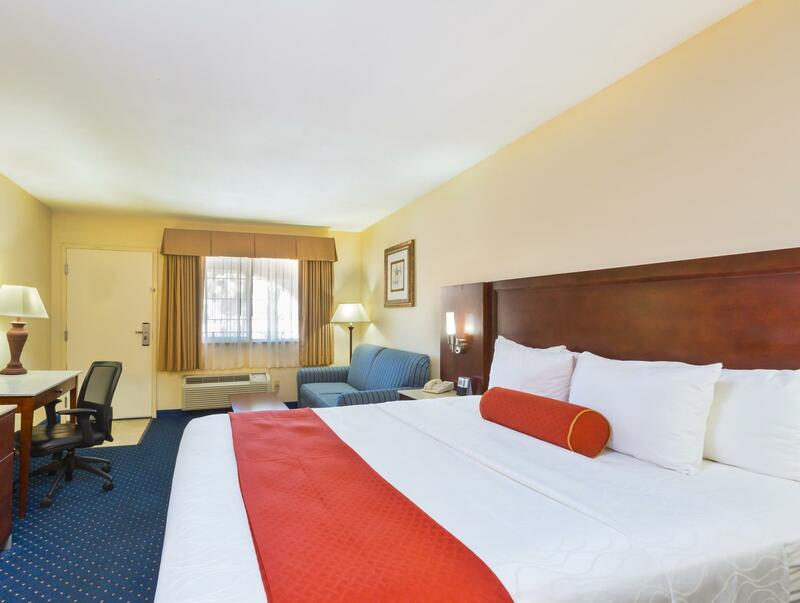 Offering hotel guests superior services and a broad range of amenities, Best Western San Diego Miramar Hotel is committed to ensuring that your stay is as comfortable as possible. 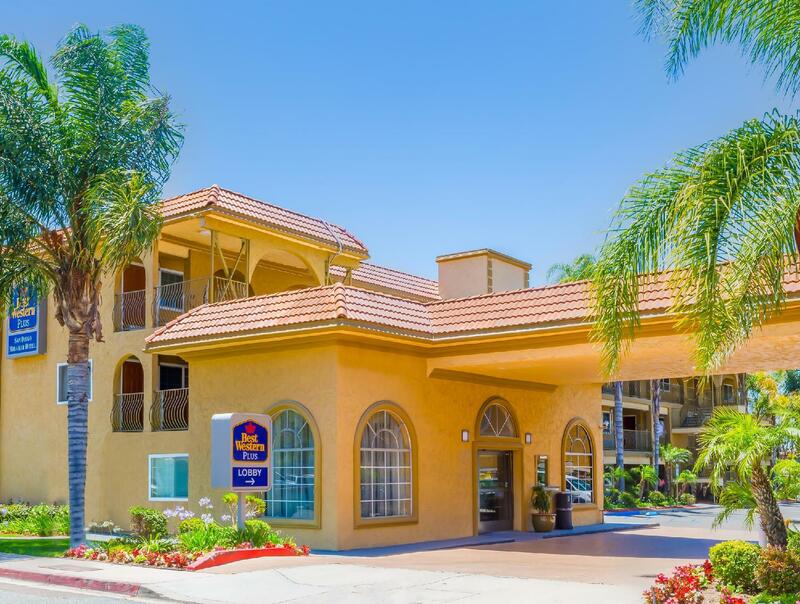 24-hour front desk, facilities for disabled guests, express check-in/check-out, luggage storage, Wi-Fi in public areas are just a few of the facilities that set Best Western San Diego Miramar Hotel apart from other hotels in the city. All guest accommodations feature thoughtful amenities to ensure an unparalleled sense of comfort. The complete list of recreational facilities is available at the hotel, including hot tub, golf course (within 3 km), outdoor pool. With an ideal location and facilities to match, Best Western San Diego Miramar Hotel hits the spot in many ways. Visiting military so location was perfect. The breakfast was awesome. Very clean and well kept facility. Booked through 3 party so the rate was $30 less then BW offered. Thank you for making our stay very ENJOYABLE! We stayed for 4 nights and were happy with our hotel stay. The room was spacious and clean. We took the double queen suite. Beds were comfortable. Breakfast was served fresh and delicious daily. The staff were friendly and hospitable, especially Manu. We recommend this hotel if you are visiting san diego. The location is a short drive to seaworld and la jolla. We had a wonderful stay. We were told that they could not find our reservation even though it was placed over 2hrs ahead of time. I was told to sit and wait until it was "pushed" through but whom I have no idea. After about 15min of sitting and waiting I was told to call the site that the reservation was made through, which I did then the clerk and the rep on the phone went back and forth with each other about where the reservation was or wasn't. Finally the clerk manually entered our reservation and got us a room. The room was simple and firstly appeared to be clean. We dropped our bags and came back later. There was dead knats on the nightstand, a bug flying around all night then I found a bug in the bed when I went to through the tissue and bug in the toilet there was a bunch of tiny black bugs crawling on the bathroom floor. I wet a few bath towels so that we could wipe our feet rather than bring the bugs to the bed all night (it was late and we were tired). It was reported to the desk the next morning. Maybe only the locations was a little problem but the hotel is ok.
샌디에고 숙소들이 비싼 편이라서 여긴 가격대비 괜찮습니다. 숙소 위치도요. 가격대비 만족도 나쁘지 않습니다. 출장 및 비지니스 숙박으로 괜찮은 곳입니다.